Nope, can't say I've ever seen this before, an ad for the very first home video release of Ridley Scott's Alien! Magnetic Video Corporation was one of the first companies to license and release movies on VHS/Beta format. Fox later bought the company. I have this print framed! (#3041 of a 10,000 print run) and with no creases either. Anyone know the name of the artist? I remember this poster being all over the place in 1980. I was around 10 and wanted one real bad. I'm shocked it hasn't been released for sale over the years. 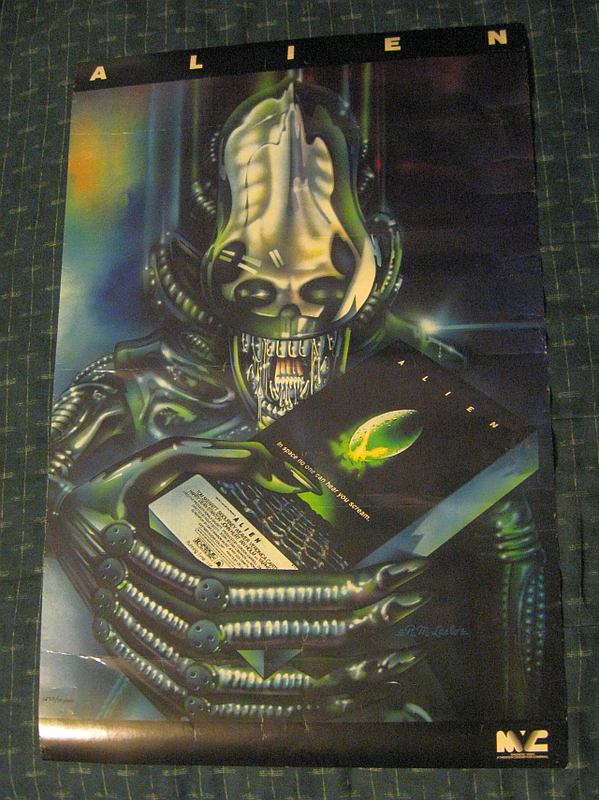 The xenomorph just looks so happy to offer it to you. R. M. Laslo is the artist. Very clearly signed in blue 50s style script, bottom left. Most likely a high end commercial graphic artist of some description. I have one of these framed too. Any idea as to what it is worth? Also, the poster actually was showing the Beta tape.